ONLY 10,435 Miles! Raptor trim. 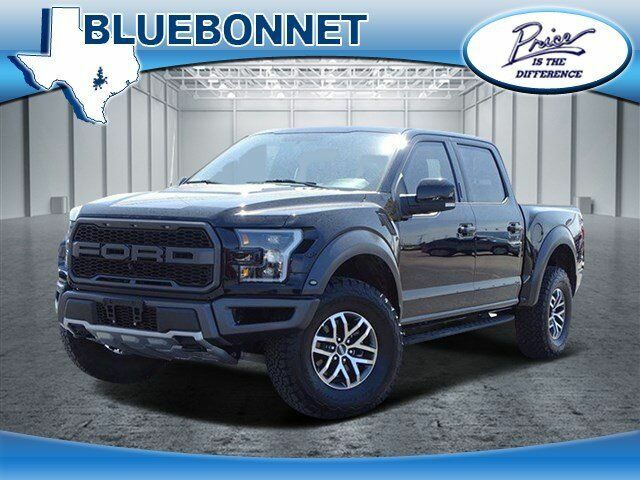 Alloy Wheels, Bed Liner, Trailer Hitch, Running Boards, 4x4, Turbo Charged, TAILGATE STEP W/TAILGATE LIFT ASSIST, RAPTOR CARBON FIBER PACKAGE, TRANSMISSION: ELECTRONIC 10-SPEED AUT... CLICK ME! EQUIPMENT GROUP 802A LUXURY LED Box Lighting, Inflatable Rear Safety Belts, 360 Degree Camera, Remote Start System w/Remote Tailgate Release, Universal Garage Door Opener, Integrated Trailer Brake Controller, Blind Spot Information System (BLIS), cross-traffic alert and trailer tow monitoring (BLIS sensor in taillamp), Power-Sliding Rear Window, privacy tint and defrost, Power-Adjustable Pedals, 8" Productivity Screen, Voice-Activated Touchscreen Navigation System, pinch-to-zoom capability, SiriusXM Traffic and Travel Link, Note: SiriusXM Traffic and Travel Link includes a, SiriusXM Traffic and Travel Link service is not available in Alaska or Hawaii, SiriusXM audio and data services each require a subscription sold separately, or as a package, by Sirius XM, RAPTOR CARBON FIBER PACKAGE: unique carbon fiber dash and door appliques and media bin door, Unique Carbon Fiber Shift Knob, SPRAY-IN BEDLINER (PRE-INSTALLED) Custom Accessory, TAILGATE STEP W/TAILGATE LIFT ASSIST, TRANSMISSION: ELECTRONIC 10-SPEED AUTOMATIC terrain management modes: normal/baja/rock crawl/sport/mud-sand/wet-snow and tow-haul mode (STD), WHEELS: 17" CAST ALUMINUM same spare (STD). Ford Raptor with Shadow Black exterior and Black interior features a V6 Cylinder Engine with 450 HP at 5000 RPM*.